What is ac file? How to open ac files? The ac file extension is related to a special text file that describes the geometry of a model used by AC3D. AC3D files contain all available information about a model built with AC3D - textures, surface settings, materials, object data etc. AC3D allows users to create models for games, virtual reality and flight simulation, scientific, medical and general data visualisation, rapid prototypes of 3D designs, high resolution 3D renderings, Google Earth, X-Plane, Second Life and more. 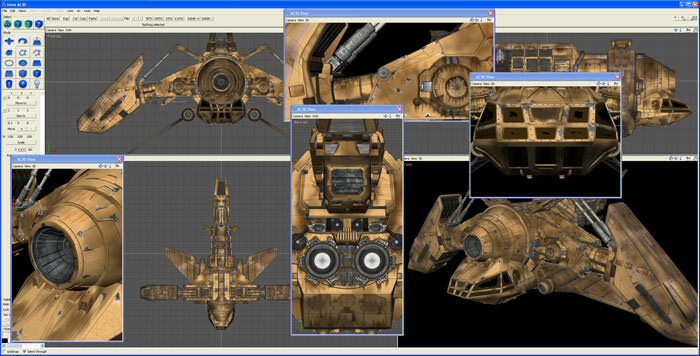 Many 3D modeling programs should be nowadays able to process AC3D geometry models. It is likely that this file type can be exported to other 3D format. and possible program actions that can be done with the file: like open ac file, edit ac file, convert ac file, view ac file, play ac file etc. (if exist software for corresponding action in File-Extensions.org's database). Click on the tab below to simply browse between the application actions, to quickly get a list of recommended software, which is able to perform the specified software action, such as opening, editing or converting ac files. Programs supporting the exension ac on the main platforms Windows, Mac, Linux or mobile. Click on the link to get more information about listed programs for open ac file action. Programs supporting the exension ac on the main platforms Windows, Mac, Linux or mobile. Click on the link to get more information about listed programs for edit ac file action. Programs supporting the exension ac on the main platforms Windows, Mac, Linux or mobile. Click on the link to get more information about listed programs for view ac file action. Programs supporting the exension ac on the main platforms Windows, Mac, Linux or mobile. Click on the link to get more information about listed programs for create ac file action. Programs supporting the exension ac on the main platforms Windows, Mac, Linux or mobile. Click on the link to get more information about listed programs for import ac file action. Programs supporting the exension ac on the main platforms Windows, Mac, Linux or mobile. Click on the link to get more information about 3D Object Converter for export ac file action. Click on the software link for more information about X-Plane. X-Plane uses ac file type for its internal purposes and/or also by different way than common edit or open file actions (eg. to install/execute/support an application itself, to store application or user data, configure program etc. ).